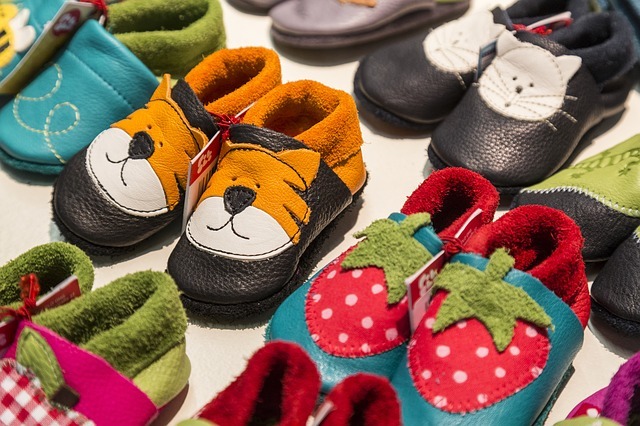 What shoes should my child wear? As a paediatric physiotherapist I am often asked about footwear. 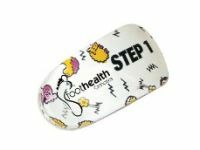 Parents/carers of babies and young children want to know when the best time to start wearing shoes is, and parents/carers of older children want to know how to balance the wishes of their child to have fashionable shoes with their own aim of providing them with something that is sturdy and supportive. Choosing suitable footwear is extremely important and cannot be underestimated as they play an integral role in the development of feet. So when should your child start wearing shoes? The answer is when they are starting to walk and their feet need protection from the ground or to keep their feet warm (eg if they are outside). Walking barefoot helps to develop foot muscles and balance so there is generally no need for shoes to be worn at home. Before your child is walking babies need freedom to be able to move their feet freely to assist with early development of their muscles so shoes are not necessary. So how do you know if a shoe is appropriate? Check how the shoes fasten. Laces, buckles or Velcro are best to hold the foot in place and prevent the toes having to grip to hold the shoe on which can cause pain. And remember, the most expensive shoes are not always the best! Remember, if you are concerned about how your child walks, or would like help in choosing footwear for your child you can book in to see a specialist paediatric physiotherapist at Faye Pattison Physiotherapy. We also have an inhouse biomechanical specialists with the latest technology allowing us to produce custom made orthotics and even braces can be made for all sorts of various ailments your child may be suffering with. Call 01245 690520 or email info@fayepattison.com to arrange your free 15 minute telephone consultation with our specialist paediatric physiotherapist. Why choose a children’s physiotherapist? How do I measure my body fat percentage?